Georg Guðni Hauksson did something rather remarkable. The Icelandic artistic came up with an original approach to traditional landscape painting. His work was internationally hailed, but he tragically died at the peak of his productivity. 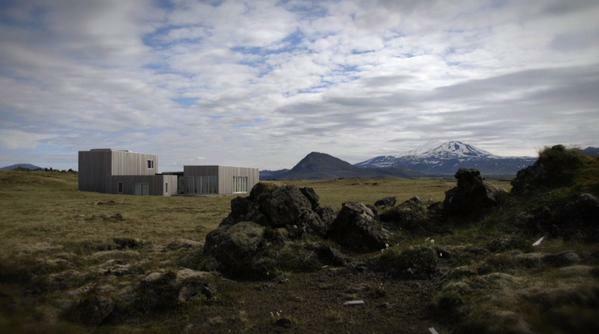 Fridrik Thór Fridriksson & co-director Bergur Bernburg survey Guðni’s work and try to evoke its spirit in Horizon (trailer here), which screens during the 2015 Toronto International Film Festival. In some ways, Guðni’s timing was perfect. He attended Icelandic art school in the 1980s, at a time when that was suddenly the thing to do. He duly experimented with loud, fast, punk-inspired styles, but it was his secret landscape work that would eventually make his reputation. Although perfectly representational, his landscapes look otherworldly and almost avant-garde. Rather than outlining shapes and then filling in colors, Guðni’s laborious method involved the meticulous layering of horizontal lines, one atop another, sort of like a weaver’s loom. The resulting work was often stark, but undeniably Nordic. There are no online records of his art being used on ECM record jackets, but his work would certainly be compatible with Manfred Eicher’s aesthetic. Fridriksson & Bernburg incorporate long excerpts from archival interviews with Guðni, but they are not as revealing as one might hope. However, they get some helpful context from Icelandic art critics and Guðni’s contemporaries, as well as actor Viggo Mortensen, who published a book with Guðni at his specialty imprint, Percival Press. They also punctuate the talking heads and close-ups of paintings with impressionistic scenes of the Icelandic fields and valleys that so inspired him. Guðni’s paintings are quite striking once you acclimate yourself to his distinctive look and the nature scenes are perfectly pleasant, but what really makes the film is the haunting minimalist soundtrack composed by Sigur Rós sideman Kjartan Hólm. Frankly, it really sounds like something that could be released on ECM, which is high praise indeed. 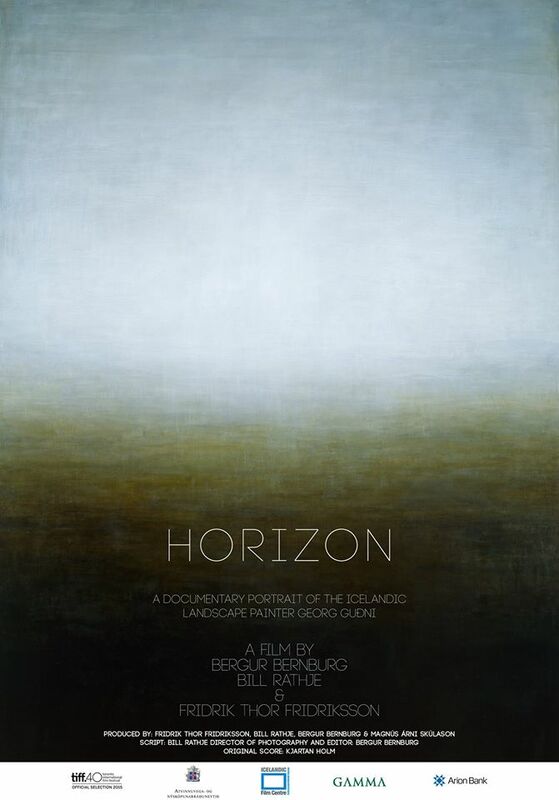 Horizon is an earnest and thorough examination of Guðni’s oeuvre that should give any open-minded viewer a keen appreciation of vision. However, even with Mortensen’s participation and support, it is hard to envision it getting a wide American distribution, so if you are in Toronto and are intrigued to any extent, you should see it now. Recommended for contemporary art connoisseurs, Horizon screens again tomorrow (9/15) and Saturday (9/19) as part of this year’s TIFF.